Vulintaba, meaning “Open the Mountains”, is an estate nestled in a picturesque amphitheatre of mountains in northern Drakensberg. Vulintaba Country Estate offers property for sale in the Drakensberg with serenity, beauty and an expansive tract of unmatched scenery. It also happens to be the closest Berg Lifestyle Estate to Gauteng. Be inspired by a place where glorious mountain views touch a pristine blue sky. Where rolling green hills are punctuated by pure, fresh dams. Put your feet up to the sounds of uninterrupted outdoor life – feel the sunshine on your back as you explore your vast backyard barefoot, stress-free and endless fresh air – pure remedy for the soul. 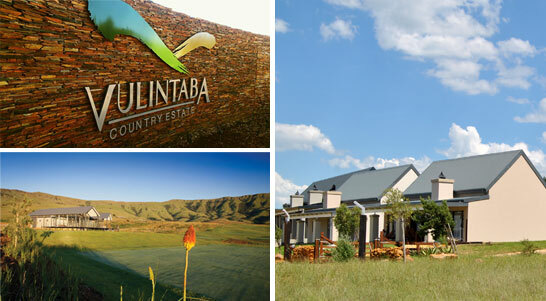 Vulintaba Country Estate boasts a tranquil lifestyle surrounded by nature’s beauty. Vulintaba Country Estate is a place to explore, to dream, to relax and to awaken our senses. This unique lifestyle country estate is so much more than a place to live – it is a place to bask in nature’s glory with a magnificent mountain amphitheatre as your backdrop. The vision that has gone into Vulintaba Country Estate is one to promote healthy living filled with adventure – to be inspired to live the best life possible. Be moved, make Vulintaba Country Estate your lifestyle destination!